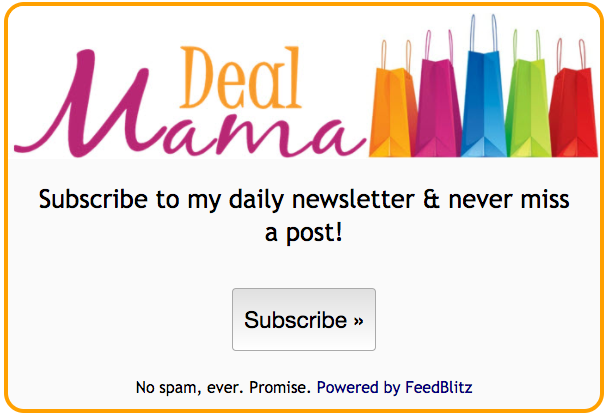 Deal Mama is a personal blog written and edited by me. For questions about this blog, please contact me via my Contact Form. I am occasionally compensated to provide opinion on products, services, websites and various other topics. Even though I sometimes receive compensation for posts or advertisements, I always give my honest opinion, findings, beliefs, and/or experiences on those topics or products. The views and opinions expressed on this blog are purely my own. Any product claim, statistic, quote or other representation about a product or service should be verified with the manufacturer, provider or party in question. Deal Mama does not contain any content which might present a conflict of interest.